As a librarian, you work hard each day to provide access to books and other resources, help instill a love of reading and promote lifelong learning. You know that learning begins at birth and the journey toward becoming a confident reader begins the moment children are born through the everyday conversations, stories and songs they share with their caregivers. To give children a strong start, Too Small to Fail, a joint initiative of the Clinton Foundation and The Opportunity Institute, is leading a nationwide public awareness and action campaign, “Talking is Teaching: Talk, Read, Sing.” The campaign promotes the importance of early brain and language development and empowers parents and caregivers to talk, read and sing with their children from birth. At Too Small to Fail, we’ve been working with librarians across the country to support their efforts to create opportunities for families to engage in language-rich interactions during everyday moments and routines. Librarians in Baltimore, Miami, Oakland and San Francisco have all used our early literacy resources to engage with their communities in unique ways, some of which are described in our three tips below. As part of our Talking is Teaching campaign, we’ve curated fun tips and resources grounded in the best science research to help parents and caregivers talk, read, and sing with their children during everyday moments like bedtime, play time, bath time or commute time. 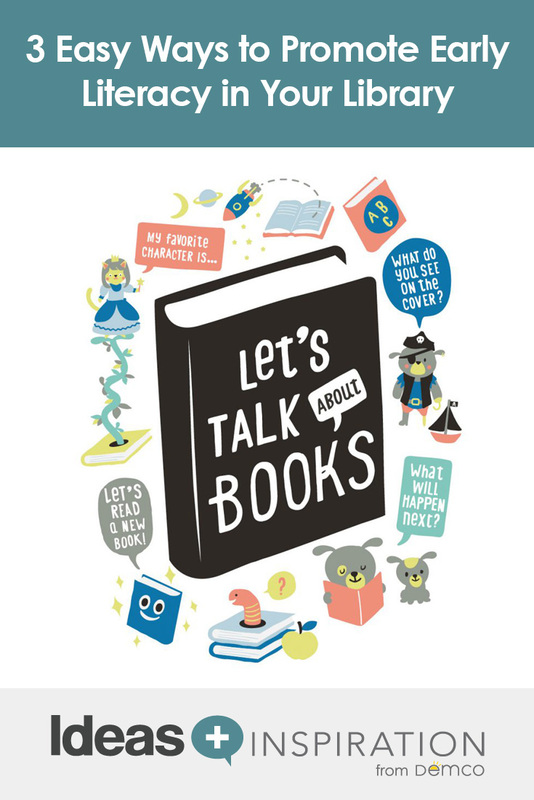 We’ve also published colorful and engaging parent handouts, as well as training materials, research and evaluations for early educators who, like librarians, are interested in bringing the Talking is Teaching campaign to their local communities. 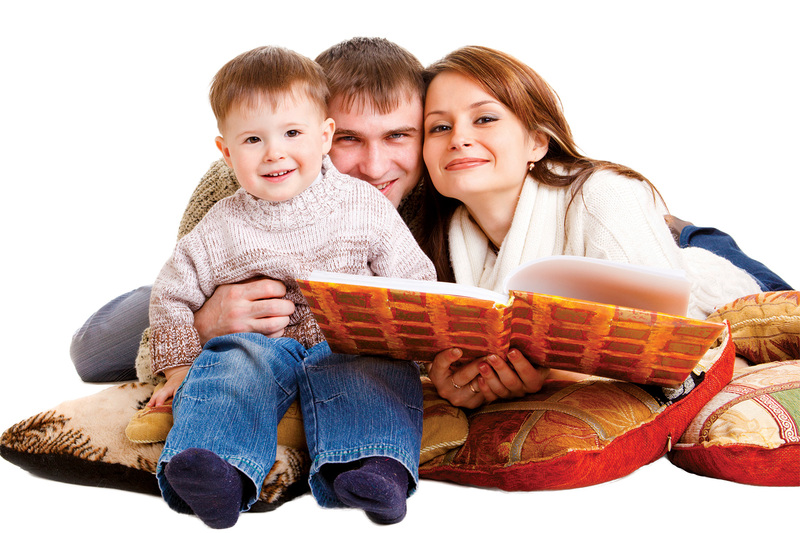 You have an extraordinary opportunity to connect parents and caregivers with essential tools and resources to promote early literacy skills. Here are three ideas for using our free resources in your library today! You can also sign up for a free account to access all of the resources for early educators on our communities website. We promise not to send you email unless you sign up separately to receive our newsletter here. Include posters and parent resources in the children’s section of your library. 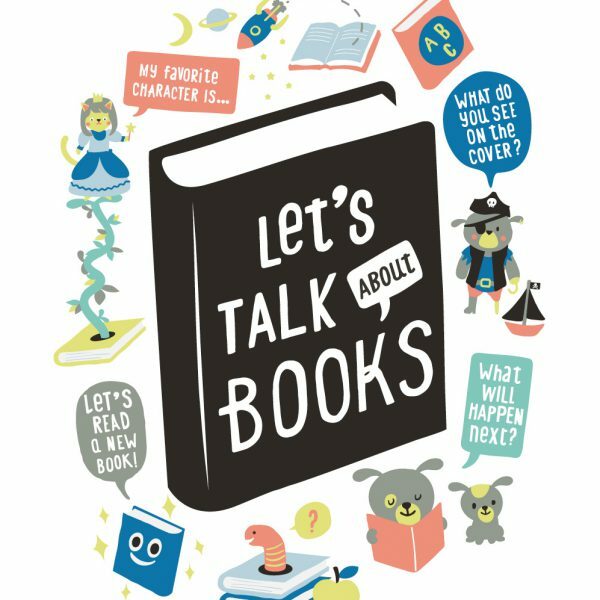 Download and post our “Let’s Talk About Books” and “Let’s Talk About the World” early STEM-focused posters — and don’t forget to include our parent-directed poster explaining the importance of talking, reading and singing with children during the early years, too! The Baltimore County Public Libraries are integrating Too Small to Fail’s early literacy prompts and messaging in a playground outside the Sollers Point Branch Library. We are working with them to unveil four new signs featuring prompts related to child-friendly topics such as shapes, colors, sunshine and rain. More posters and other creative assets are available on our communities website. Prompt parents and caregivers to talk, read and sing by weaving Talking is Teaching campaign messaging into existing events. Review your list of special events you have planned for the year, and brainstorm ways to incorporate Talking is Teaching materials and messages into those library events through distribution, display, or by using them as reference and talking points. Do you partner with other organizations on events where you could distribute Talking is Teaching handouts to parents on early literacy, social-emotional development, early math or early STEM? Many of our resources are available in both English and Spanish. 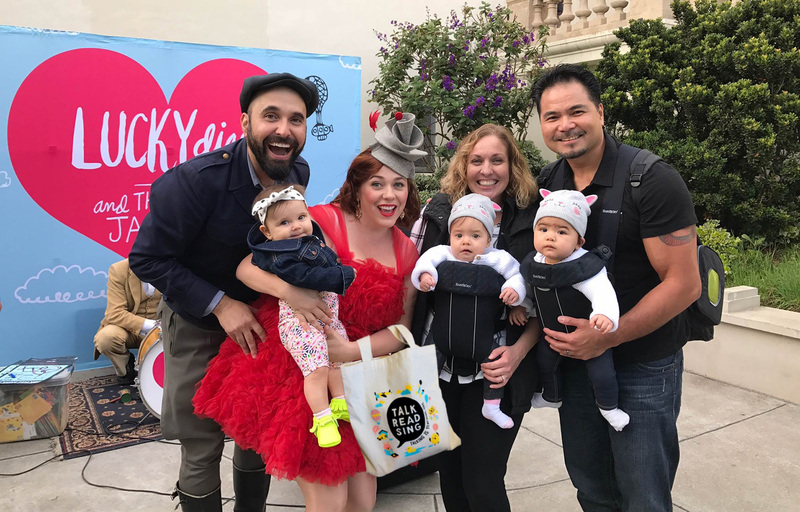 As part of our ongoing partnership with Salesforce.org, Too Small to Fail provided 2,000 tote bags filled with new tools to help local families talk, read and sing with their children for the San Francisco Public Library’s eighth annual Tricycle Music Fest. The Tricycle Music Fest is an all-star lineup of Grammy winners representing the best local and national talent in support of early literacy and school readiness. 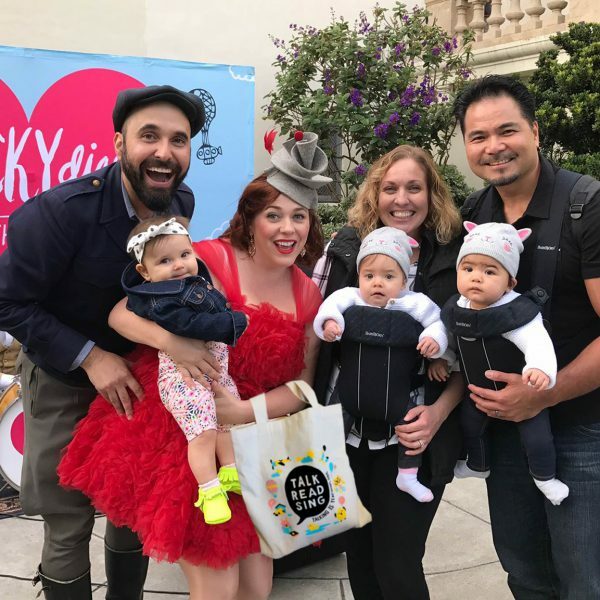 At each of the events, librarians set up a small table featuring handouts for parents and information on the Talking is Teaching campaign, while artists spoke about the importance of talking, reading and singing with young children before performing on stage. Makerspaces are becoming an integral part of many public and school libraries and offer access to new tools and different ways of learning. If you’re looking for ways to encourage parents and caregivers to interact with their young children in a makerspace, try incorporating some of our early math and early STEM resources into your makerspace. Too Small to Fail, in partnership with ZERO TO THREE, has developed a series of handouts and videos that offer simple, easy-to-use ways to introduce early math and science concepts during everyday activities. For example, as our “Everyday Fun with Spatial Awareness” video demonstrates, you can help children from birth to age five develop spatial relations skills by asking questions like “Which book is bigger?” (teaching sizes and shapes) or narrating activities with directives like “Push the chairs under the table” and “Put the books on top of the cart” (teaching space and position). You can also encourage children’s natural curiosity about science by helping them to ask questions (“I wonder why…?”), describing animals and plants or predicting what will happen next in a process. 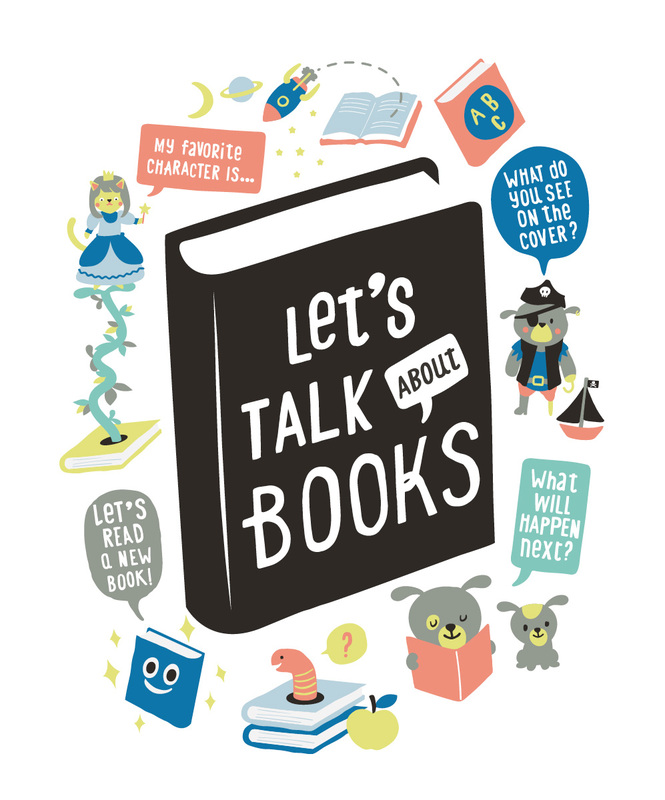 These are just a few ways you can use the “Talking is Teaching: Talk, Read, Sing” resources to promote children’s early brain and language development at your library — and we’d love to hear what you come up with next! Kara is Senior Vice President for the Strong Families and Early Learning Program Area at The Opportunity Institute, which includes the early childhood and working families policy portfolio, and Director of Too Small to Fail. Previously based at Next Generation, Too Small to Fail is a joint initiative with the Clinton Foundation, which seeks to help parents and businesses take meaningful actions to improve the health and well-being of America’s youngest children, ages zero to five, and prepare them to succeed in the 21st century. Kara oversees the strategic direction of Too Small to Fail, with an emphasis on the place-based (cities) strategy, scaling and evaluation. Her background includes a focus on early childhood, K–12 and postsecondary education policy, as well as child welfare and mental health policy and practice. Prior to joining Next Generation and The Opportunity Institute, Kara was the Associate Director and a Senior Community Engagement Associate at the John W. Gardner Center for Youth and Their Communities at Stanford University, where she directed the Center’s community engagement work. She also led a multi-year initiative on college readiness indicators, and a review of best practices for college access and completion among young men of color. Earlier in her career, Kara was Chair of the San Francisco First 5 Commission and worked at Children Now. She received her B.A. from Brown University and a master’s degree in Social Welfare from UC Berkeley.